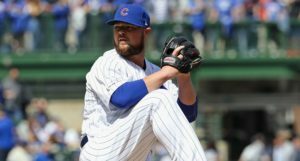 Joe Maddon and Jon Lester were confident after he departed his last start a little early to tend to some back tightness that it likely wouldn’t cost him any starts, and the Cubs have announced an upcoming rotation that thankfully confirms it. If you remember back to Monday night, Lester left his start a bit prematurely, as he was evidently experiencing some back discomfort. We then learned that he didn’t expect the issue to linger, and (apparently) it has/will not. Lester will make his regularly scheduled start against the Reds on Saturday, and he’ll be followed by Jose Quintana on Sunday. 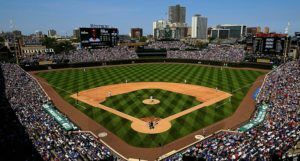 That’s great news for a Cubs team that, depending on the outcome tonight and over the next few days, could still be battling hard for their division. Especially when you consider the limited options to replace him. 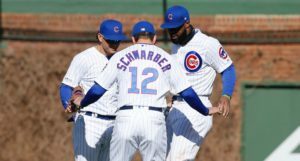 It’s a momentary sigh of relief on the injury front, so embrace it, Cubs fans.